Easter weekend was very wet, so wet in fact we spent the whole day trying to find 'under cover' locations to photograph outfits alongside some of my spring summer accessories. 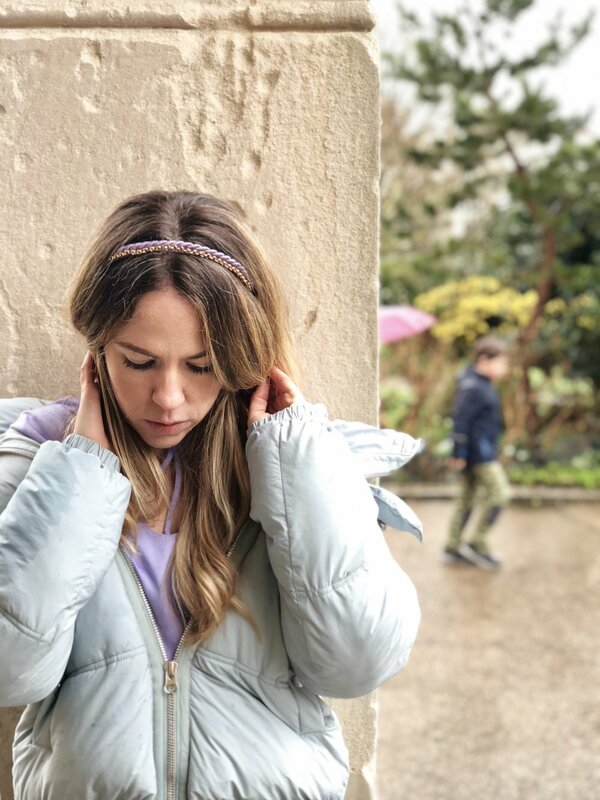 I wanted to start this shoot at The Brighton Pavilion as i'm totally in love with this exotic location, I had planned to shoot some of my accessories in the grounds gardens but as the weather turned moody we had to head undercover. Luckily I had worn my cropped Zara mint puffer coat to keep me dry which came in handy when running to each location. I wore this with my new Nike Air vapormax flyknit moc trainers which just so happened to not be water proof (we'll touch on that review in my next post), a lilac t-shirt from Pink and Gym, leggings Victoria Secrets. My idea for this look was a 'just come out the gym, needing to runs some errands' kinda look which is where my SS18 accessories jumped in. 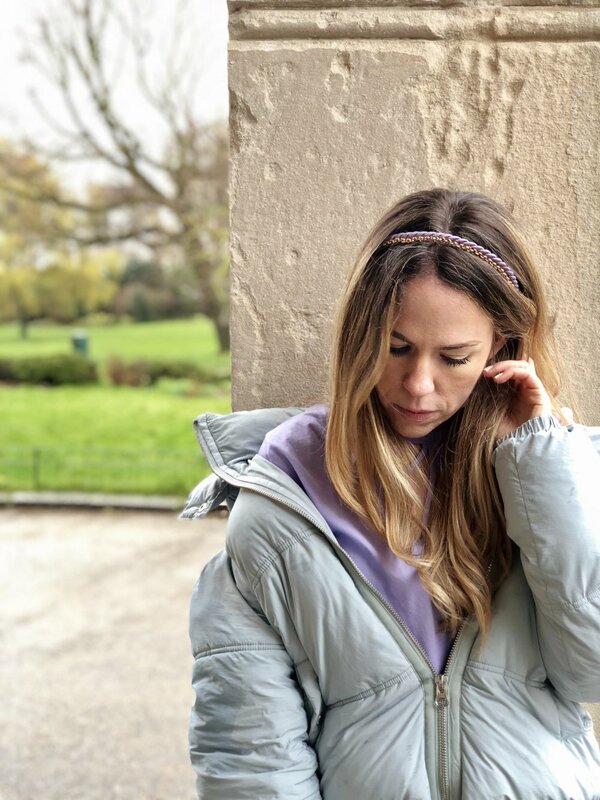 I'm a huge headband girl, for practical reasons as well as fashion, sometimes I feel too sporty in just my gym kit so by adding a headband from my accessories collection it takes my look up a few notches. 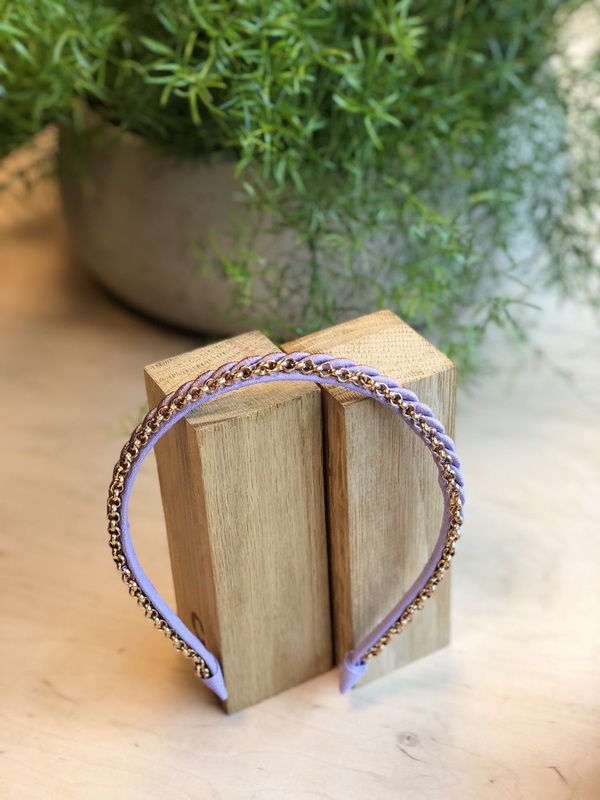 The Pricillia headband was one of my original headbands when I launched in 2010 and mixes rope with chain on a comfy covered headband. I've remade it in Lilac which i'm wearing in these shots above, it also comes in black, soft pink & butter cream colour ways. I decided to brave it and wore mine with my hair down but I also love a top knot or a low pony tail with this headband as it really shows off the gold chain on the band details. My wishful thinking of a spring photo shoot didn't exactly go to plan but i'm not one to be defeated, so we found a sheltered spot where we could photograph these shades. Say hello to the aviator, a frame shape that suits just about anyone, I went for a pinky lilac mirrored pair from Aldo called 'Treliwia'. I love the gold frame around the edge but most of all that they look and feel designer when worn but at a pinch of the price. Thank you guys I would love to hear your thoughts on this look, don't forget to comment below!